University of Bologna was founded in 1088, UNIBO is considered the oldest university in the Western World. UNIBO boasts over 86000 students enrolled, 33 departments, 11 schools, 5 campuses, and nearly 6000 employed as instructors or support staff. UNIBO offers 43 international degree programs, 21 of which are delivered in English; 51 PhD programs, 47 specialization schools, and 64 Master's programs. This heterogeneous nature diversified structure and investment in the professionalization of support services ensures solid institutional support for the research team. The post-doc position will be hosted by the Department of Management, which currently employs 30 full, 35 associate, and 23 assistant professors, and 23 PhD students. DiSA coordinates several undergraduate, Master’s programs, and oversees the activities of Bologna Business School, the business school of the University of Bologna. Additionally, since 1992, DiSA offers a PhD program in Management. DiSA’s core subjects are Accounting, Finance, Innovation & Entrepreneurship, Marketing, Organization, and Strategy. The marketing group at Disa is well-known for its leading research and quality of publications. Faculty research and expertise include a broad range of topics in the areas of customer decision making, marketing strategy, and marketing modelling. The approach to research of the group takes a hard science and empirically driven perspective. Faculty members have expertise in the application of statistical and modeling techniques as well as in the design of experiments and field experiments to analyze data in various forms. The mission of the group is to generate relevant and reliable insights that can contribute to the advancement of marketing as a discipline, and to provide actionable managerial tools to support the next generation of leaders. 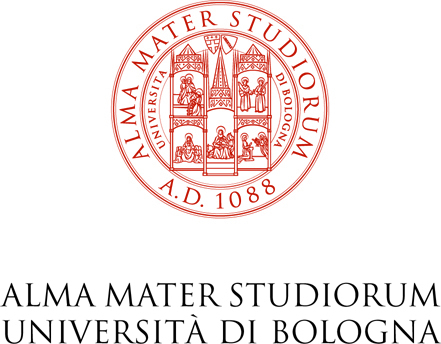 Although University of Bologna is the main institution who sponsoring this position, this post-doc position is also done with the collaboration of Amsterdam Business School (ABS). Amsterdam Business School is one of the two schools of the University of Amsterdam’s Faculty of Economics and Business. The ABS has almost 3,000 students and the equivalent of 120 full-time academic staff. The school’s core subjects are Corporate Governance, Entrepreneurship, and Big Data / Business Analytics. Six sections (Accounting, Entrepreneurship & Innovation, Finance, Leadership & Management, International Strategy & Marketing, and Operations Management) conduct top-level research published in prestigious international journals. ABS also provides various degree programmes including a BSc programme and six MSc programmes, a wide range of post-doctoral programmes featuring three MBAs, four accountancy programmes and Lean Six Sigma programmes, as well as an extensive portfolio of open courses and in-company projects. The new Post-Doc candidate will be involved in a joint project between Disa and ABS, University of Amsterdam. The candidate must be willing and able to conduct research consistent with the high standards of both institutions, have strong analytical and problem solving skills and background/knowledge in statistics and modeling. The research produced by the candidate will be part of a stream of projects in the area of multichannel and omnichannel management and marketing effectiveness along the customer journeys. Part of the activity will be focused on creating a database containing information on antecedents and consequences of channel choice, and analyzing the underlying dynamics of the customer channel choice. The candidate will also have the opportunity to work with industry partners willing to run field experiments. We are looking for ambitious high-potential candidates who are demonstrably committed to excellence in high-impact research, and therefore devout to publish, in top-tier international journals, and presentation to conferences. Strong interest and experience in quantitative research methods and modeling and/or statistics. Have developed skills with multivariate statistical analysis (e.g. test hypothesis, regression techniques, analysis of variance) and modeling techniques. Preference will be given to candidates with a strong quantitative background. This is a public call from a public University. The online system is the only channel that you can use to complete your application, therefore please follow the next instructions properly.